Lameness Diagnosis of a lameness requires a thorough physical exam and an acute eye. Observation of your horse’s gait while he is moving in straight lines and lunging in circles is essential. Gait analysis may be needed during flexion tests, after nerve blocks, and/or after joint blocks to pinpoint the area causing the lameness. 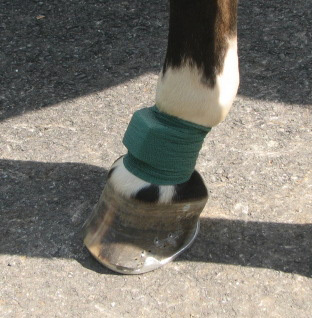 Once the area is isolated, diagnostic aids such as radiographs and/or ultrasound may be used to help visualize the cause of the lameness. After the cause has been determined, Gary can develop a treatment plan which may include corrective farrier work, nursing care, medication, surgery or other appropriate therapies.